You Draw By PS RIght ? This is so pretty! I just love his hair... so handsome. Can't wait for the movie!!!!! 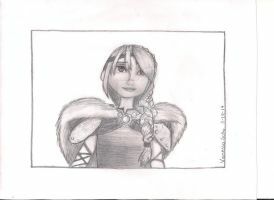 Oh my god, I want HTTYD 2 to come out RIGHT NOW!!!!!!!! *catches you* it's not ugly! how can you say that?